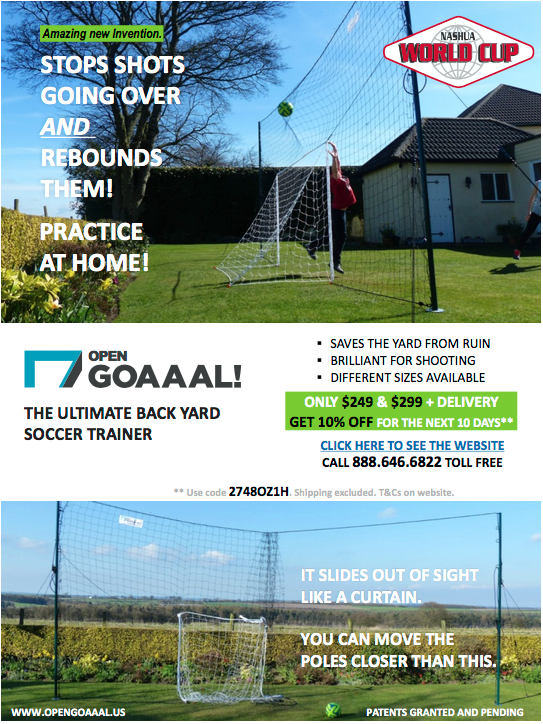 Admiral has released a new soccer trainer for the backyard that eliminates the constant ball shagging when taking shots on net. The Open Goaaal trainer a target goal and netting the rebounds the ball when the goal is missed. The netting can be pulled aside when not in use and can be adjusted for different size back yards. Below is a brouchure on the product and more information can be found on the Admiral website.